Assisted Living option to the Clarence area. The Clarence Nursing Home campus is a close-knit retirement community that offers countless amenities to enhance quality of life, while offering freedom to continue an active lifestyle. 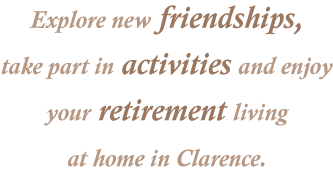 At Clarence Assisted Living, there’s a sense that you truly belong and that you’re part of a community of friends. 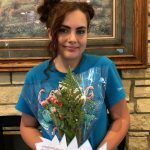 Members of the community, who are looking for some assistance with daily living or no longer want to live alone, will find a relaxing and quality living environment at the Clarence Nursing Home’s new Assisted Living Community. 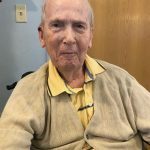 Clarence Assisted Living consists of 18, assisted living apartments and individualized services to community members who require assistance with daily living. Our trained and caring staff will encourage an active lifestyle while providing any needed support. 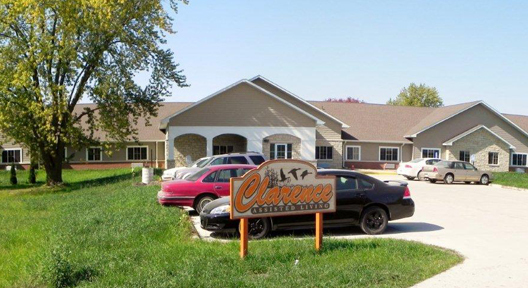 Clarence Assisted Living understands the importance of staying connected to friends, loved ones, and being involved in the Clarence community. Active community involvement is essential to the vitality of a senior’s life. No matter what stage of life you might find yourself in, we advocate independence and activity. We encourage and offer activities that stimulate your mind and body. Clarence Assisted Living is unique, offering an entire campus of life enriching options. As part of the Clarence Nursing Home, we can offer a continuum of care for those who may need additional nursing care or rehab services as well as options offering more independent living. We can assist you regardless of your health needs. Clarence’s new Assisted Living was designed with you in mind. Standard amenities combined with a home style atmosphere allow community members to relax and forget the hassles and worries of home ownership and the stress of living alone. Come enjoy your life to the fullest at the area’s newest assisted living community. Live well knowing that help is there when you need it. or to schedule a tour, call 563-452-3266 today!